RESTON, Va., Oct. 12, 2009 -- Northrop Grumman Corporation (NYSE:NOC) has named Edward M. Swallow vice president of business development for the Information Systems sector's Civil Systems division. In this role, Swallow will oversee the division's business development activities including building and executing strategies, identifying and shaping new business opportunities, and maintaining customer relationships in the civil marketplace. He will also focus on the development of the sector's civil cyber strategy, capabilities and technologies. "Ed's impressive business leadership efforts have led numerous growth initiatives for Northrop Grumman," said Tom Shelman, vice president and general manager of Northrop Grumman's Civil Systems division. "His expertise will support our success with existing customers in the federal and civilian communities and help shape future program opportunities." Previously, Swallow was vice president of business acquisition process and proposal operations for the Information Systems sector. Earlier, he was vice president of capture and proposal for Northrop Grumman's former Information Technology sector, and director of strategic development for the Information Superiority operating unit within the company's TASC business unit. Swallow joined Northrop Grumman in 2001. 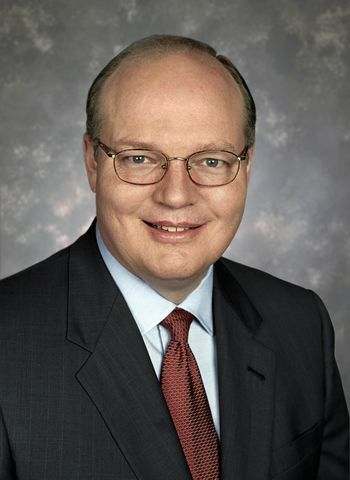 Prior to joining the company, Swallow was vice president of business development for the government services group of Steven Myers and Associates. Earlier in his career, he was vice president and director of the Advanced Programs division for Space Applications Corporation. Swallow earned a bachelor's degree in physics and astronomy from the State University of New York, Oneonta, a bachelor's degree in electrical engineering from Syracuse University, and a master's degree in systems management from the University of Southern California. He is a graduate of the Air Force's Squadron Officer's School and Air Command and Staff College.